Some of the faces in the crowd were familiar to me, though having lost a little of the pudginess of early childhood. Mr. Shea’s fifth graders scooted in around me as I sat at the front of the room. Three or four of them I remembered from Calvin’s first grade class. I’d been invited to talk to my son's classmates about him and about epilepsy, as I do every year for a handful of teachers who’ll have me. I always start by telling them that Calvin was born prematurely and missing a section of his brain—some of its white matter, its superhighway—and that as a result it takes Calvin a long, long time to learn things and that some things he may never learn. I told them that he is visually impaired, can’t talk, doesn’t walk well and still wears diapers. I explained that when he was two he was diagnosed with epilepsy, then I asked if any of them knew what epilepsy was. A cute boy at the edge of the group raised his hand. His answer hinted that he knew someone, perhaps even had a pet, with the disorder. I praised all of their answers and told them Calvin is the best person I know mostly because he doesn’t have a mean bone in his body, that he's pure. I noted that I had one more important thing to say at the end of the session, then I opened up the floor for questions. “You can ask me anything about Calvin and about epilepsy,” I said, assuring them that no question was out of bounds. After a short pause, the first hand went up from a pretty girl with long brown hair. I thanked her for the important reminder that, no, most people with epilepsy are not like Calvin, though a lot of people like him have epilepsy. I explained how it is difficult to tell if someone has epilepsy unless they witness a seizure or unless they're told. The boy who knew what epilepsy is raised his hand high. “I have epilepsy,” he said, standing brave and sure beside his desk. How long is the longest seizure Calvin ever had? How does Calvin communicate with you? Can Calvin play any games? What are his favorite things to do? What medications does he take? Do you know what his different sounds mean? Will he outgrow his epilepsy? Can Calvin recognize himself in a mirror? Does Calvin sleep in a special bed? Does Calvin’s body hurt after a seizure? They looked sad when I told them that Calvin’s longest single seizure lasted forty-five minutes and that the emergency drugs didn’t seem to be working. I told them that, one time, while in the hospital when he was tiny, Calvin had scores of little seizures over the course of hours and that the doctors didn’t know they were seizures but that I eventually realized that they were. I assured them that doctors don’t always know everything. I explained the words, advocacy and paradoxical and convulsion. I related how Calvin doesn’t feel good after seizures and, finally, that he had said the word Mama once, before the seizures and the taking of drugs began. When there was a brief lull, one boy raised his hand and asked what I had been saving to tell them. I gently challenged them all to be an example for their peers by showing kindness and compassion to Calvin and by being his friend. I encouraged them to be kind to others who might look different, sound different, act different, dress different, speak a different language or come from a different country, because all of us have the same heart, and that by doing so, they can make the world a better place. As I left the room, the children thanked me, and a freckled girl with a bob of ginger hair looked intently into my eyes, smiled sweetly and waved as I pulled the door closed and skipped off to see my Calvin. 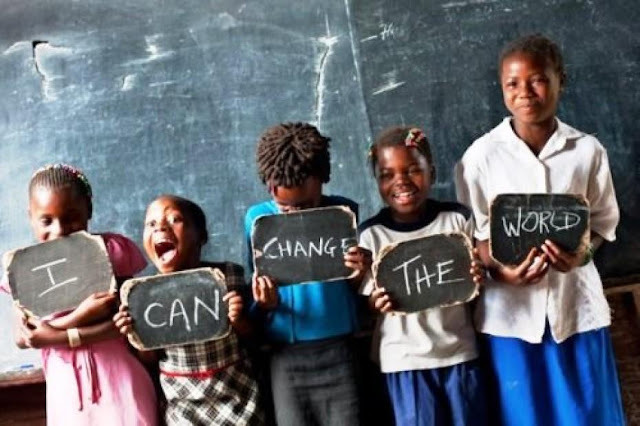 Children can make the world a better place. I wish you could bottle these presentations. Clearly, that's impossible because the real time give and take is part of their power, but it's also clear that you are exceptionally talented at this. Changing the world indeed. Powerful stuff. Thank you so much Christie. I recommended your visit to other teachers in a school wide email today. You helped change a boy's life on Friday by providing that opportunity for him to stand up. He felt safe and assured. It was the highlight of my week. I am in awe of what you give, Christy. The value of your sharing with the class is beyond calculation. How lucky they are to have you! I second Mr. Shea's comment about his student feeling safe. I think if we could learn to create more safe space for each other, for children, and for adults, the world would be a much more compassionate place for us to co-exist. Christie, the education you are providing these children to be informed and therefore not judge is so critical. Thank you for spreading compassion.